The Soviet USSR has foreign roots and it did not come from Russia itself. The Bolsheviks damaged great peaceful harmony and many adorable gentle qualities of the Russians but it could not destroy them. 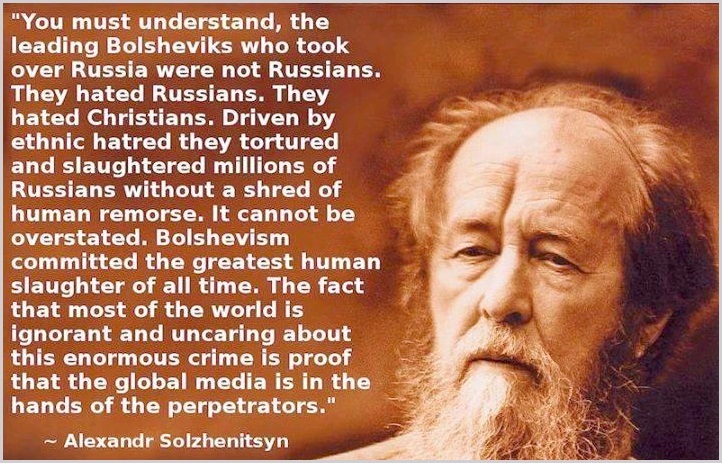 Bolshevism and its perverted Communism succeeded in defaming and portray its ugly aggressive image upon Russia all over the World to majority of unaware persons. Bolshevik communist USSR does not resemble the Russian characters in many obvious ways. It is simply not Russian at all. The so-called “Russian Revolution” of 1917 was designed and financed and managed by foreigners who hate Russia and its great history and heritage to destroy patriotism, create crises and steal wealth. People can only either love Russia or not dislike Stalin and what he represents as Bolshevik communist USSR, but to admire both of them impossible is not only for Russian but also for people from all around the World. “What is the essential difference between (Oliver) Cromwell and (Joseph) Stalin? Can you tell me? No difference…(Cromwell’s) monument is standing, (and) no one is going to remove it. The essence is not in these symbols, but in the need to treat with respect every period of our history.” In the words of Russian President and leader Vladimir Putin. These words imply that the USSR was a shame but it is still part of the Russian history. The collapse of USSR was a natural normal consequence of faulty foundation and leadership. Peter the Great (1672–1725); Catherine the Great (1762–1796); and the Romanovs are all extremely tall compared to Stalin. 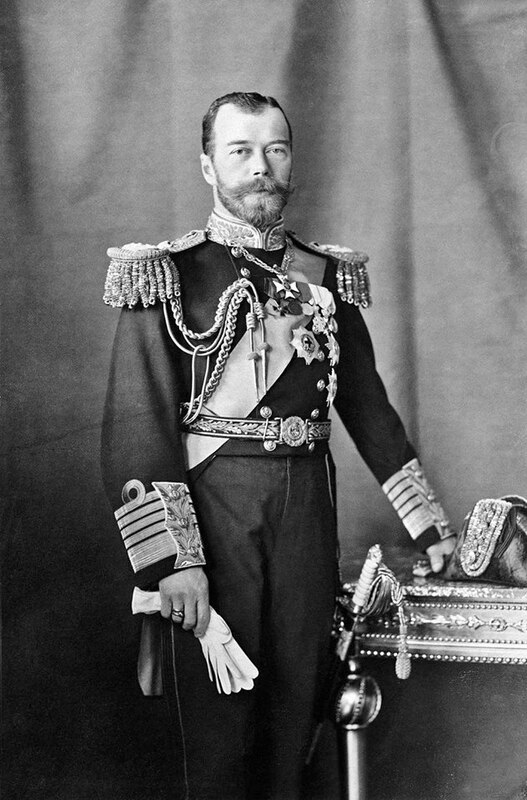 This is the real hero of Russia: Tsar Nicholas II, in the uniform of a Royal Navy Admiral of the Fleet, c. 1909. In the last Orthodox Russian monarch and members of his family we see people who sincerely strove to incarnate in their lives the commands of the Gospel. In the suffering borne by the Royal Family in prison with humility, patience, and meekness, and in their martyr deaths in Yekaterinburg in the night of 17 July 1918 was revealed the light of the faith of Christ that conquers evil. 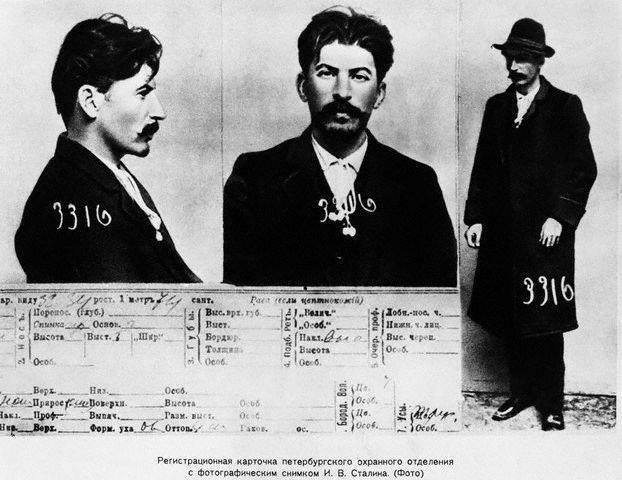 Stalin’s birth name in Georgian was Ioseb Besarionis dze Jughashvili He was born an ethnic Georgian – Ioseb’s father slid into alcoholism, which made him abusive to his family and caused his business to fail. He was a voracious reader and became a Georgian cultural nationalist. Out of school, Jughashvili briefly worked as a part-time clerk in a meteorological office, but after a state crackdown on revolutionaries, he went underground and became a full-time revolutionary, living off donations. Among other activities, he wrote and distributed propaganda, organized strikes, and raised funds through bank robberies, kidnappings, extortion, and assassinations. Jughashvili was arrested and exiled to Siberia numerous times, but often escaped. His skill, charm, and street-smarts won him the respect of Lenin, and he rose rapidly through the ranks of the Bolsheviks. Just like Hitler, Stalin was picked up from nowhere and polished and he was errected by foreign financiers, without any merits other than brutality and street-smarts. 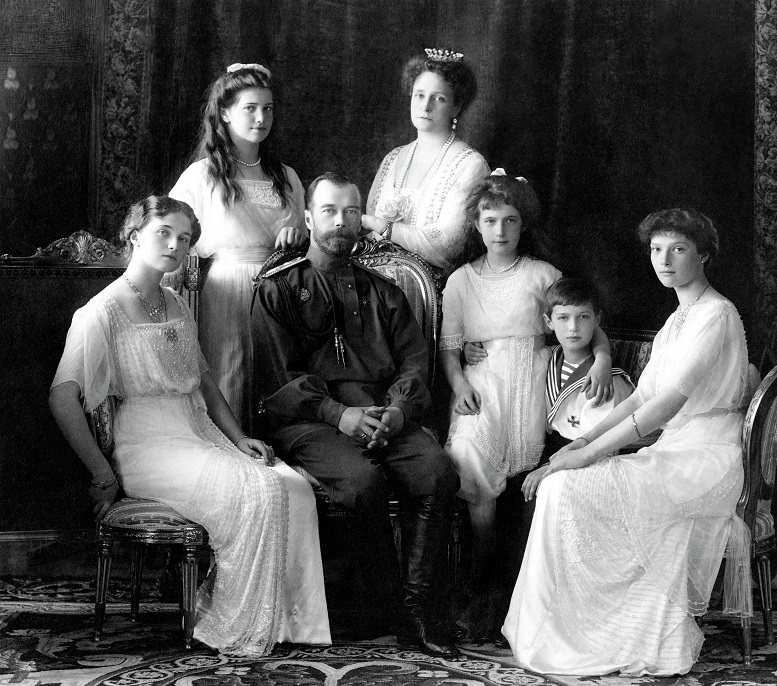 Tsar Nicholas II, along with his wife, Tsaritsa Alexandra, their 14-year-old son, Tsarevich Alexis, and their four daughters. They were cut down in a hail of gunfire in a room of the house in Ekaterinburg, a city in the Ural mountain region, where they were being held prisoner. The daughters were finished off with bayonets. To prevent a cult for the dead Tsar, the bodies were carted away to the countryside and hastily buried in a secret grave. Bolshevik authorities at first reported that the Romanov emperor had been shot after the discovery of a plot to liberate him. For some time the deaths of the Empress and the children were kept secret. Soviet historians claimed for many years that local Bolsheviks had acted on their own in carrying out the killings, and that Lenin, founder of the Soviet state, had nothing to do with the crime. In 1990, Moscow playwright and historian Edvard Radzinsky announced the result of his detailed investigation into the murders. He unearthed the reminiscences of Lenin’s bodyguard, Alexei Akimov, who recounted how he personally delivered Lenin’s execution order to the telegraph office. The telegram was also signed by Soviet government Chief Yakov Sverdlov. Akimov had saved the original telegraph tape as a record of the secret order. Radzinsky’s research confirmed what earlier evidence had already indicated. Leon Trotsky — one of Lenin’s closest colleagues — had revealed years earlier that Lenin and Sverdlov had together made the decision to put the Tsar and his family to death. In recent years, Jews around the world have been voicing anxious concern over the specter of anti-Semitism in the lands of the former Soviet Union. In this new and uncertain era, we are told, suppressed feelings of hatred and rage against Jews are once again being expressed. According to one public opinion survey conducted in 1991, for example, most Russians wanted all Jews to leave the country. But precisely why is anti-Jewish sentiment so widespread among the peoples of the former Soviet Union? Why do so many Russians, Ukrainians, Lithuanians and others blame “the Jews” for so much misfortune? Although officially Jews have never made up more than five percent of the country’s total population,5 they played a highly disproportionate and probably decisive role in the infant Bolshevik regime, effectively dominating the Soviet government during its early years. Soviet historians, along with most of their colleagues in the West, for decades preferred to ignore this subject. The facts, though, cannot be denied. 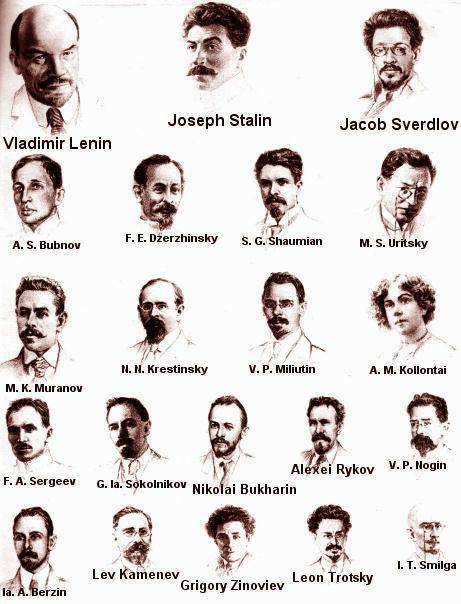 With the notable exception of Lenin (Vladimir Ulyanov), most of the leading Communists who took control of Russia in 1917-20 were Jews. Leon Trotsky (Lev Bronstein) headed the Red Army and, for a time, was chief of Soviet foreign affairs. 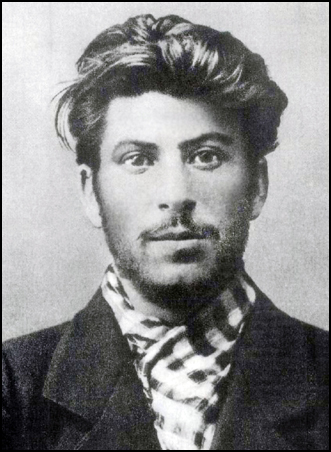 Yakov Sverdlov (Solomon) was both the Bolshevik party’s executive secretary and — as chairman of the Central Executive Committee — head of the Soviet government. Grigori Zinoviev (Radomyslsky) headed the Communist International (Comintern), the central agency for spreading revolution in foreign countries. Other prominent Jews included press commissar Karl Radek (Sobelsohn), foreign affairs commissar Maxim Litvinov (Wallach), Lev Kamenev (Rosenfeld) and Moisei Uritsky. Lenin himself was of mostly Russian and Kalmuck ancestry, but he was also one-quarter Jewish. His maternal grandfather, Israel (Alexander) Blank, was a Ukrainian Jew who was later baptized into the Russian Orthodox Church. In the Communist seizure of power in Russia, the Jewish role was probably critical. Two weeks prior to the Bolshevik “October Revolution” of 1917, Lenin convened a top secret meeting in St. Petersburg (Petrograd) at which the key leaders of the Bolshevik party’s Central Committee made the fateful decision to seize power in a violent takeover. Of the twelve persons who took part in this decisive gathering, there were four Russians (including Lenin), one Georgian (Stalin), one Pole (Dzerzhinsky), and six Jews. To direct the takeover, a seven-man “Political Bureau” was chosen. It consisted of two Russians (Lenin and Bubnov), one Georgian (Stalin), and four Jews (Trotsky, Sokolnikov, Zinoviev, and Kamenev). Meanwhile, the Petersburg (Petrograd) Soviet — whose chairman was Trotsky — established an 18-member “Military Revolutionary Committee” to actually carry out the seizure of power. It included eight (or nine) Russians, one Ukrainian, one Pole, one Caucasian, and six Jews. Finally, to supervise the organization of the uprising, the Bolshevik Central Committee established a five-man “Revolutionary Military Center” as the Party’s operations command. It consisted of one Russian (Bubnov), one Georgian (Stalin), one Pole (Dzerzhinsky), and two Jews (Sverdlov and Uritsky). Well-informed observers, both inside and outside of Russia, took note at the time of the crucial Jewish role in Bolshevism. Winston Churchill, for one, warned in an article published in the February 8, 1920, issue of the London Illustrated Sunday Herald that Bolshevism is a “worldwide conspiracy for the overthrow of civilization and for the reconstitution of society on the basis of arrested development, of envious malevolence, and impossible equality.” The eminent British political leader and historian went on to write. The Bolsheviks also received assistance from Armand Hammer, who still commutes back and forward between New York and Moscow to take care of his business interests in both communities. Hammer’s Occidental Oil Company is at the moment building a 1600 mile chemicals pipeline in southern Russia. He is also on such good terms with the Soviets that he personally arranges for Soviet art galleries to lend paintings to America. Another American-based businessman to help out the Soviet economy is Michael Fribourg, who owns the massive Continental Grain Company. Together with the Louis Dreyfus Corporation, these Jewish speculators were able to buy up vast quantities of cheap American grain in 1972, sell it to the Soviets at a vast profit, and collect an export subsidy from the U.S. taxpayer. In Germany, the Jews also tried to take over there in the chaos that followed the First World War. Aided by funds from the Soviet Ambassador Joffe, Rosa Luxemburg’s Spartacus Bund attempted to overthrow the government. The revolt was quelled and its leaders Luxemburg and Karl Liebknecht executed. In Poland too, Jews occupied virtually every position of authority in the post-war Communist regime. Prominent among these were Minc, Skryesewski, Modzelewski and Berman. Jacob Berman gradually eclipsed the others until he became supreme dictator by himself. Also, Gomulka’s wife was a Jewess.